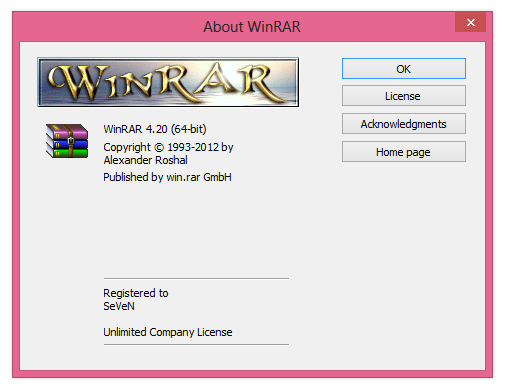 2.Supports files and archives up to 8,589 billion gigabytes size. 3.Offers the strength archive encryption using AES (Advanced Encryption Standard) with 128 bit key. 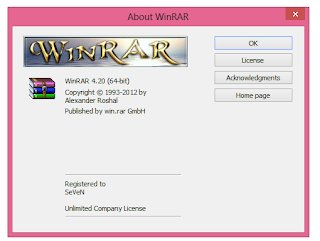 4.Offers an interactive graphical interface. 5.Ability to create selfextracting and multivolume. 6.Recovery record and recovery volumes allow to reconstruct even physically damaged archives. 7.Support compress very well, so it can save you disk space. 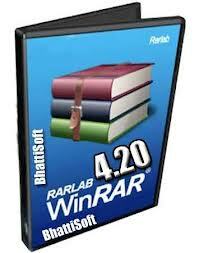 kalo sudah berhasil menjalankan software WinRAR v.4.20 maka tampilannya akan seperti gambar di bawah ini!! !